Electoral board Chairman Sadi Guven said that with more than 97% of votes counted, Erdoğan had an absolute majority. Unofficial results broadcast on Turkish television also gave his ruling party and its alliance partner a majority in parliament. The main opposition party did not immediately concede defeat. But after initially saying Erdoğan would fall well short of a first-round victory, it said simply it would continue its democratic struggle “whatever the result”. 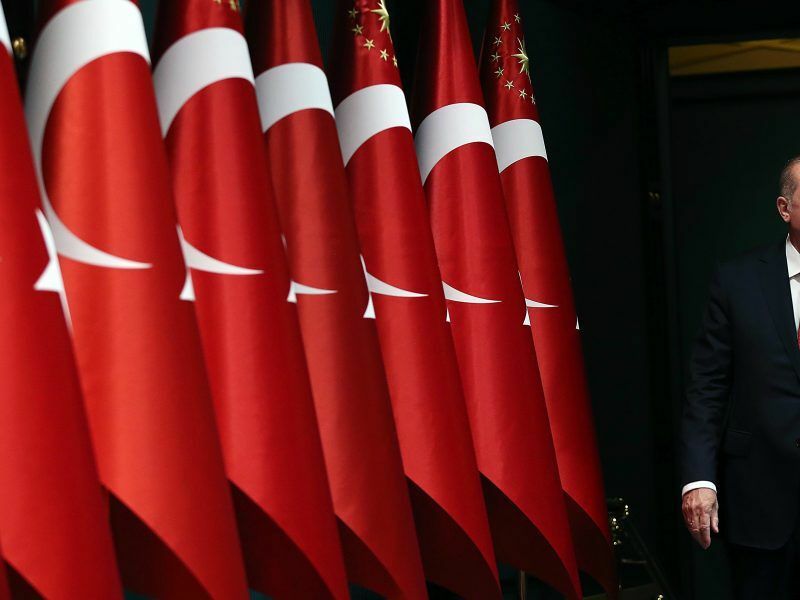 “Starting tomorrow, we will start working to realise the promises we made our people,” Erdoğan told flag-waving supporters in a victory speech delivered from the balcony of his ruling AK Party’s headquarters in Ankara shortly after 3 a.m. He also pledged that authorities, who have waged a nationwide crackdown since a failed military coup two years ago, would act more decisively against terrorist organisations. Turkish President Recep Tayyip Erdoğan, who famously called the coup attempt of 15 July 2016 ‘a gift from God’ has held the Gülen movement solely responsible for the putsch without presenting any compelling evidence, writes Ramazan Güveli. Erdoğan, 64, the most popular but also the most divisive politician in modern Turkey, added that Turkish forces would continue to “liberate Syrian lands” so that the 3.5 million Syrian refugees in Turkey could return home safely. Sunday’s vote ushered in a powerful new executive presidency long sought by Erdoğan and backed by a small majority of Turks in a 2017 referendum. Critics say it will further erode democracy in the NATO member state and entrench one-man rule. Erdoğan’s victory paves the way for another five-year term. Under the new constitution, he could serve a further term from 2023, taking him to 2028. An unexpectedly strong showing by the AK Party’s alliance partner, the nationalist MHP, could translate into the stable parliamentary majority that Erdoğan seeks in order to govern freely. The lira, which has lost about a fifth of its value against the dollar this year, firmed more than 1% in early trading in Asia on hopes of a stable working relationship between the president and parliament. It reached 4.587 lira to the dollar at 12:17 a.m. (2117 GMT) before easing slightly. Erdoğan’s main presidential rival, Muharrem Ince of the main opposition Republican People’s Party (CHP), had urged election monitors to remain at polling stations to help ensure against possible election fraud, as final results came in from large cities where his party typically performs strongly. With 99% of votes counted in the presidential race, Erdoğan had 52.5%, well ahead of Ince’s 31%, broadcasters said. Erdoğan said there had been no serious voting violations. In Sunday’s parliamentary contest, the Islamist-rooted AK Party won 42% and its MHP ally 11%, based on 99% of votes counted, broadcasters said. In the opposition camp, the CHP had 23% and the pro-Kurdish Peoples’ Democratic Party (HDP) 11% – above the threshold it needs to reach to enter parliament. The opposition nationalist Iyi (Good) party received 10%. Election turnout nationwide was very high at around 87% for both contests, the state broadcaster said. Erdoğan argues that his new powers will better enable him to tackle the nation’s economic problems and crush Kurdish rebels in southeast Turkey and in neighbouring Iraq and Syria. Investors would welcome the prospect of a stable working relationship between the president and the new parliament, although they also have concerns about Erdoğan’s recent comments suggesting he wants to take greater control of monetary policy. Erdoğan has declared himself an “enemy of interest rates”, raising fears he will pressure the central bank to cut borrowing costs after the election despite double-digit inflation. He brought forward the elections from November 2019, but he faced an unexpectedly feisty challenge from Ince, a former physics teacher and veteran CHP lawmaker, who galvanized Turkey’s long-demoralised and divided opposition. Turkey held Sunday’s elections under a state of emergency declared after the failed military coup in July 2016 that Erdoğan blamed on his former ally, US-based Muslim cleric Fethullah Gülen. It limits some freedoms and allows the government to bypass parliament with decrees, although Erdoğan says he will soon lift the measure. 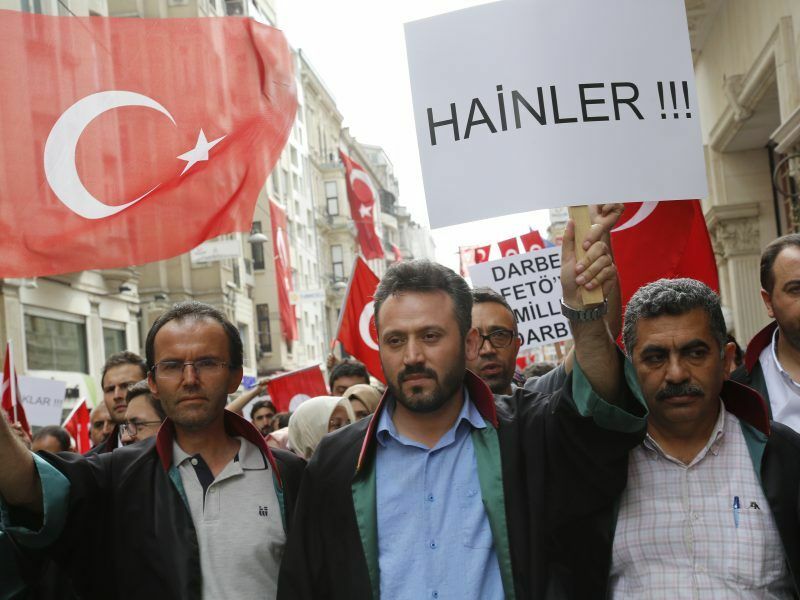 Since the coup attempt, Erdoğan has waged a sweeping crackdown on Gülen’s followers in Turkey, detaining some 160,000 people, according to the United Nations. Critics, including the European Union, which Turkey still nominally aspires to join, say Erdoğan has used the crackdown to stifle dissent. He says his tough measures are needed to safeguard national security.